We offer free on site surveys and consultations to customers looking for a wood flooring solution. This enables us to discuss your project in more detail. You can contact us by phone or by completing the form below. You can also find us on Facebook. We aim to respond within one working day, often much quicker than that. Darren fitted our flooring in our hallway, lounge, study and dining room.  We absolutely love the flooring his company work in a very professional way and would definitely recommend forestall flooring. Amazing workmanship, top quality materials , second to none finished job. Had our hall, dining room and kitchen floor laid by Forrestal Flooring - so pleased, looks amazing! Thank you. Forestal Flooring fitted me a lovely bamboo hallway! First class service! Would recommend.